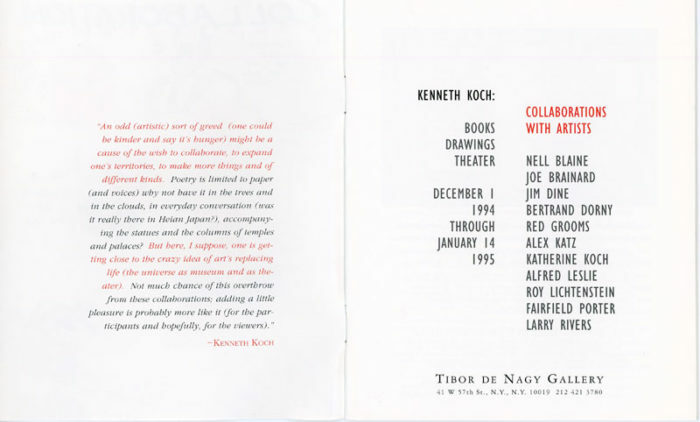 Booklet from Kenneth Koch’s Collaborations with Artists at Tibor de Nagy Gallery, 1995. 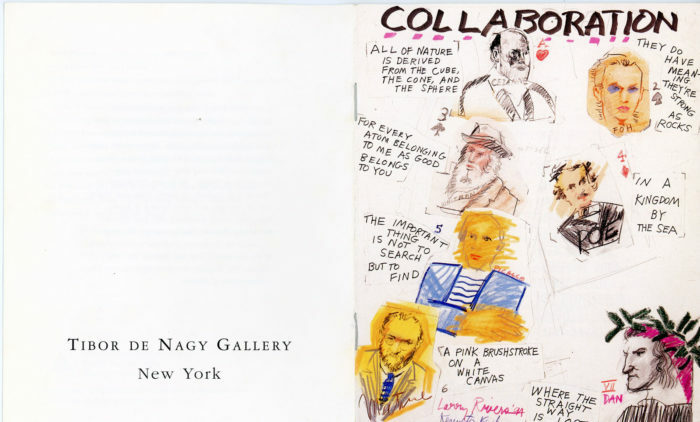 Collaborating artists included Larry Rivers, Alex Katz, Roy Lichtenstein and others. 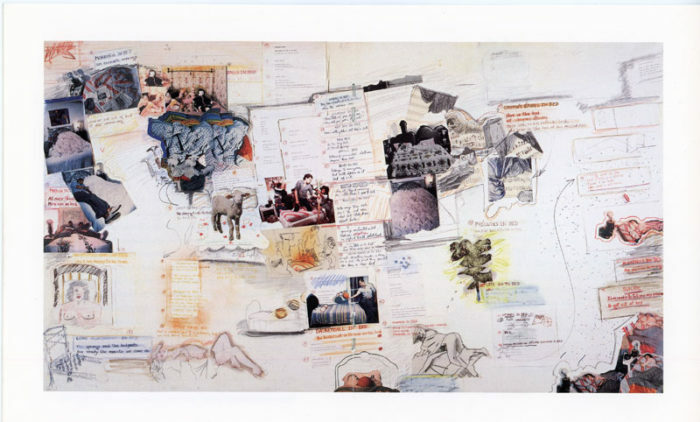 Booklet includes an essay by Arthur C. Danto on The Koch Collaboration, as well as images and text from the collaboration with Alex Katz.